This is the perfect shirt to wear to your next luau! 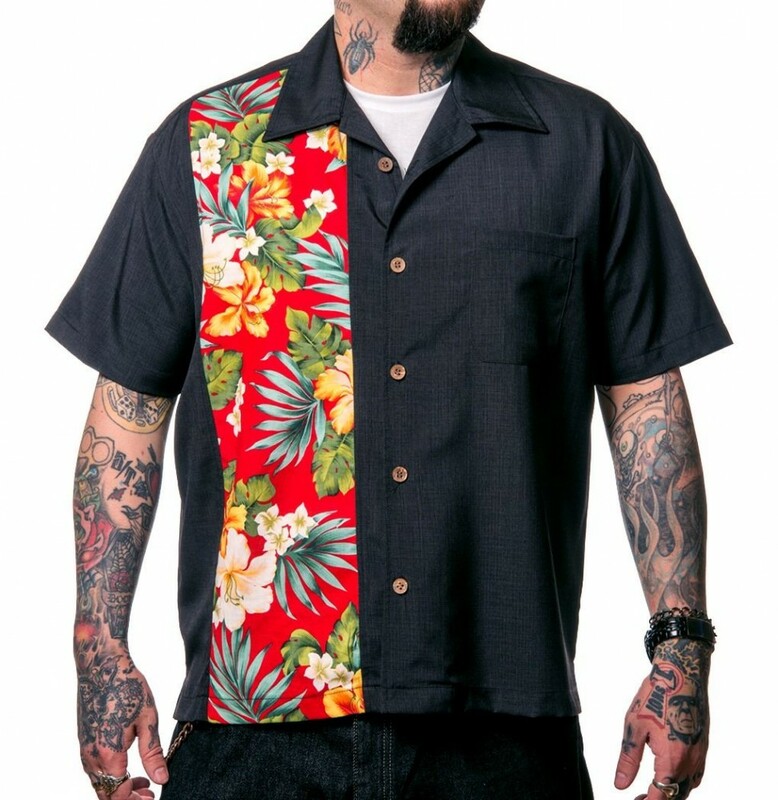 This mens black bowling lounge shirt has one red panel with hibiscus flowers in orange, red, yellow and green, brown buttons and one front left chest pocket. 100% Polyester. Machine wash cold, hang to dry. Made in the USA.